Woodland camping, with open fires close to camber sands. This year you will find us nestling close to Camber Sands and Rye at the Hop and Hare Farm, this secret space encompasses a babbling brook, rolling meadow land and cathedral esq woodland all set within a hidden 20 acres. The campsite is off-grid offering a range of Glamping camping experiences, if your looking for ‘wild glamping’ or ‘real camping’ this site offers couples getting away from the hubbub the chance to really unwind, families can have their own place to build a camp either within the woodland or spread out to a private corner of the meadow campsite. If you are arriving in groups we have areas that you pre book again within the wood or meadowland. Kids have the chance for freedom, they can go off on their own nature trail looking for our hidden animals, we are also supplying den making equipment like ropes, lengths of timber, the odd tyre swing and if they look hard enough the secret slack line. You can pitch your own tent, stay in one of our Bell tents, try a Tree tents or if you really want the great outdoors we have special woodland tarps and waterproof bivvy bags so you can go deeper into the woodland to set your own secret camp all at Pop-up campsite! The Pop-up campsites are open from Friday to Sunday only and offers some great pitches for families, groups, couples, and individuals. 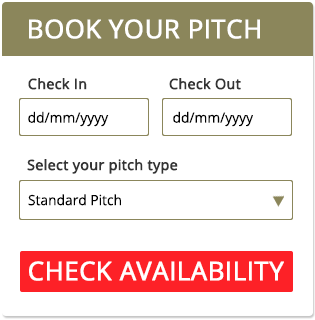 Once you have booked please check your email, as you will need the exact location to find us. Please drive at 5mph along all tracks as we have neighbours and wish to be respectful. Your earliest check-in is 2pm please do not turn up before, check out is 11am. As we are a Pop up site we can not obtain rubbish collection services, please make provision to remove all rubbish and take it off site. You will be charged for rubbish if left. Bring your own tent for only £15.00 per person per night (Friday to Sunday only) and £6 for children 3yrs & above, children under 3yrs go free. Please remember you are required to remove all rubbish. Why not hire one of our Empty Canvas Bell Tents starting from £50 for a 2 night hire these beauties will easily accommodate 5 adults or a large family. The Bell Tents are easily upgradable to our luxury Hotel and Motel Packages too. These majestic beauties offer groups a warm dry space to hang out. We have one 6 metre green wood land Teepee that comes equipped with wooden benches, pot belly stove, table. They will seat around 20 adults and start from £200 hire for the weekend. We have designed and made Shepherds huts toilets, with lighting and charging points. You will find pill box showers with gas fired boilers dotted about the campsite and Washing up hut. We have bespoke fire bowls, trivets and help moon grills for cooking and chilling. We offer different packages for Bell Tents with options for everyone and every budget, so take a look and see which suits you the best! Click the button below for more information. WE BELIEVE THAT SHARING EXPERIENCES TOGETHER AS FAMILY AND FRIENDS IS WHAT MAKES MEMORIES EVEN MORE SPECIAL. WE’VE CAREFULLY HAND PICKED ACTIVITIES FOR YOU TO ENJOY NO MATTER WHAT YOUR AGE. Why not take away a new skill from your stay and entertain the family with Bushcraft – selected weekends on the campsite teaching spoon carving, flint or friction fire or bow and arrow making. If you feel like embracing the caveman in you, then try a touch of hunting, skinning and cooking over you fire pit. There’ll be a hive of activity for the family with en masse rounders, sack races, badminton, tennis table championships and giant outdoor games. For the hares and the tortoises amongst us, come and join in.